Project Eve is an ad-supported cross-media platform for highly educated, affluent women ages 25-54, HHI 100k+ looking to make a career change. 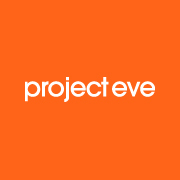 Founded in November 2012, Project Eve is an ad-supported social network and cross media platform for women reinventing their careers. On average, professional women can expect to have 8 different careers over a lifetime. With engaging articles and interactive tools, Project Eve motivates women to think beyond traditional career boundaries, crowdsource information from an active community and develop new professional networks. Meridith Dennes is a Co-Founder and the CEO of Project Eve. Prior to starting Eve, Meridith spent almost 15 years working in investment banking originating and structuring strategic funding solutions for corporations and banks. She began her career at Spy Magazine and in business development at Marvel Comics. Meridith holds a BA from Northwestern University and an MBA from NYU’s Stern School of Business. Kim is a Co-Founder and COO of Project Eve. Prior to Eve, she managed the investment process for and monitored over $2 billion in hedge fund investments at a fund of funds. Prior to that she worked in sell-side research at Bear Stearns and Morgan Stanley and sales and trading at Jefferies. Kim graduated with honors from the University of Vermont and an MBA from NYU’s Stern School of Business.